Gurgaon is situated just 20 mins away from the airport. And that’s how close to the airport is our third opened hotel located right next to NH8. Cyber Hub and Cyber City is located just 10 mins away by foot and Udyog Vihar is a 10 minute drive away. The property has 27 modern tastefully done up rooms with a Banquet connected to an open lawn. Its location and its tastefully done up interiors make it a perfect place for pre wedding events like mehendi, Sangeet , birthday parties, corporate parties and social and private events. 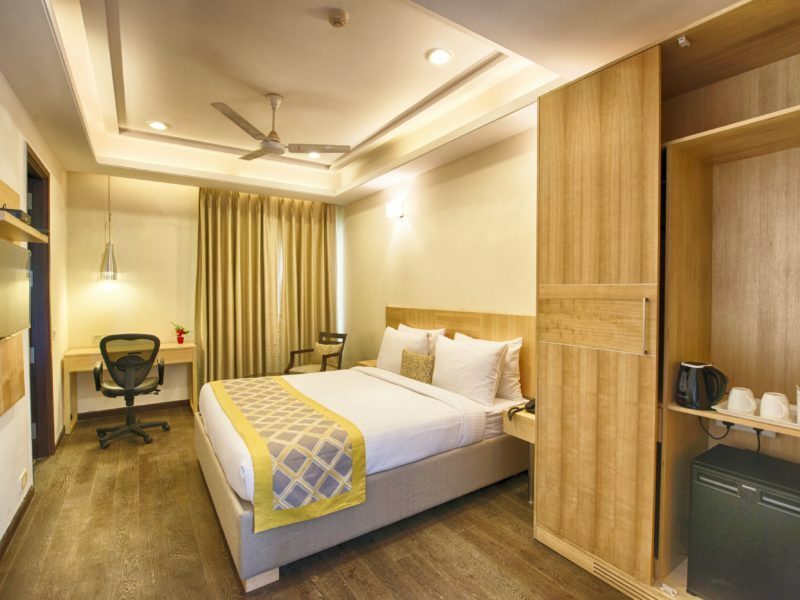 Deluxe Room stands true to its name and is as spacious as any other 5 Star Hotel Room. This category of room gets sold out like hot cakes due to our limited inventory. A Kingsize Bed with Imported Mattress to match the ideal comfort to offer a good night sleep. A Study Table and Chair to keep you at ease when you wish to work. 32 inch Television with Tata Sky personalised regional channel of your choice. It also offers a Compact Modular Kitchen with Mini Refrigerator with Microwave & Hot Plate on Demand. You can also ask for a Deluxe Room with twin beds for guests with Double Occupancy who don’t like to share their bed. Executive Room comes with little larger lounge space for easy movement than our Deluxe Rooms. 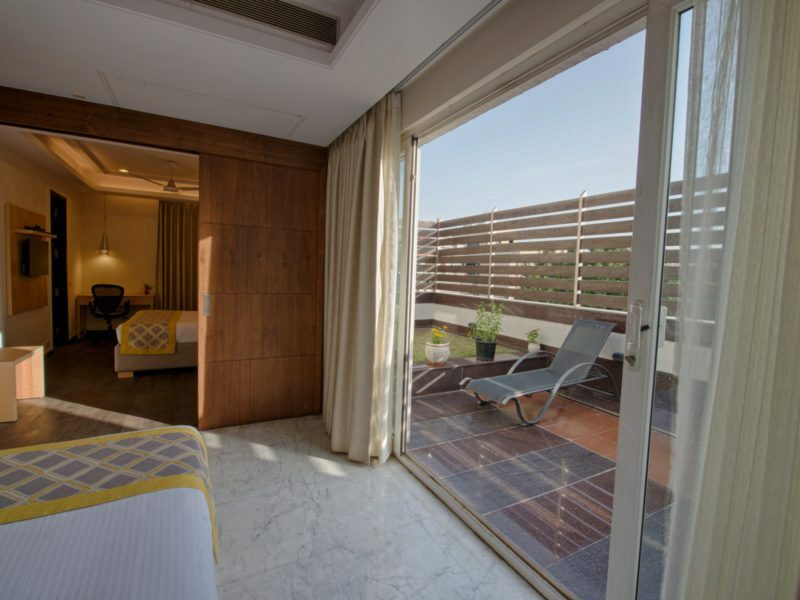 Few of our Executive Room also comes with a Balcony. A Study Table and Chair to keep you at ease when you wish to work. 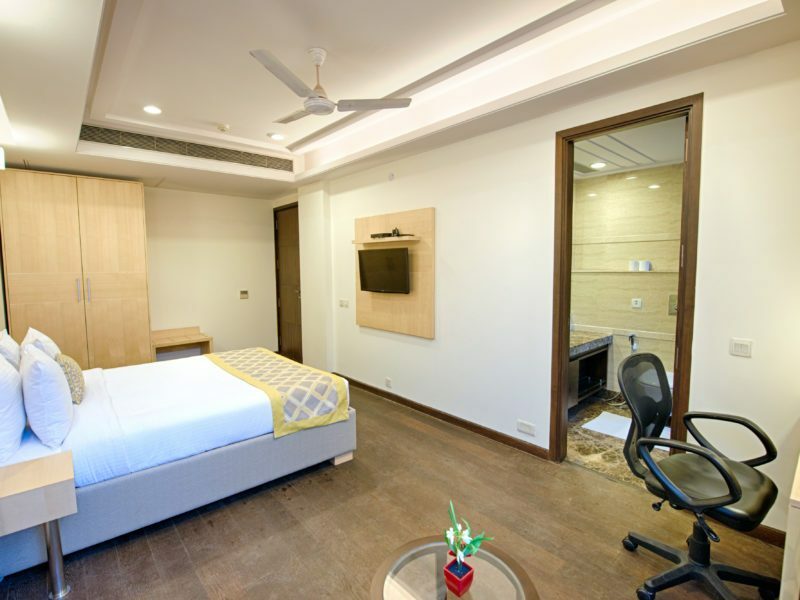 Rest of the inclusions and Décor remains the same as our Deluxe Room including the Compact Modular Kitchen with Mini Refrigerator with Microwave & Hot Plate on Demand. 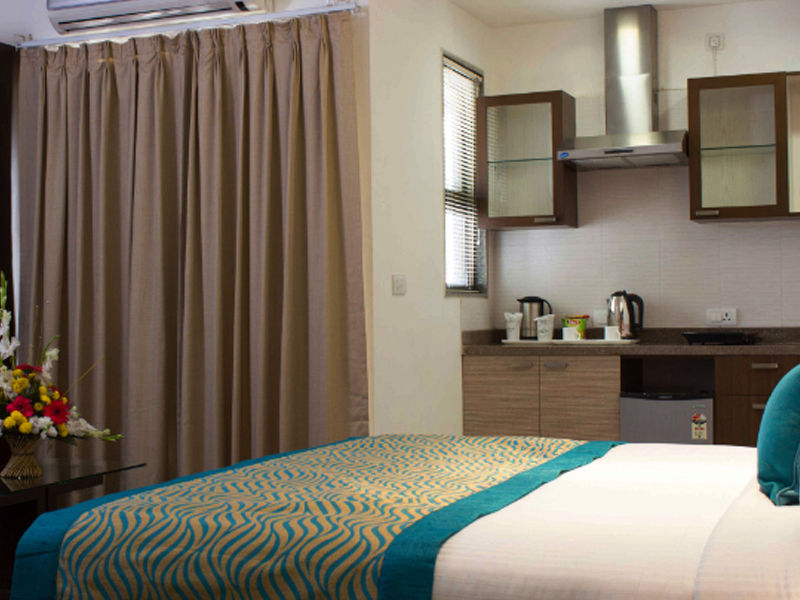 You can also ask for a Deluxe Room with twin beds for guests with Double Occupancy who don’t like to share their bed. Our Suite Room is a combination of a Living Room & Bedroom for Guest who enjoys the luxury of space during their stay in a Hotel. Both the Living Room and the Bedroom has a Television. Located at the 2nd Floor of the Building it opens to the Luxury Open Terrace Garden of our Hotel which is an ideal spot to relax. 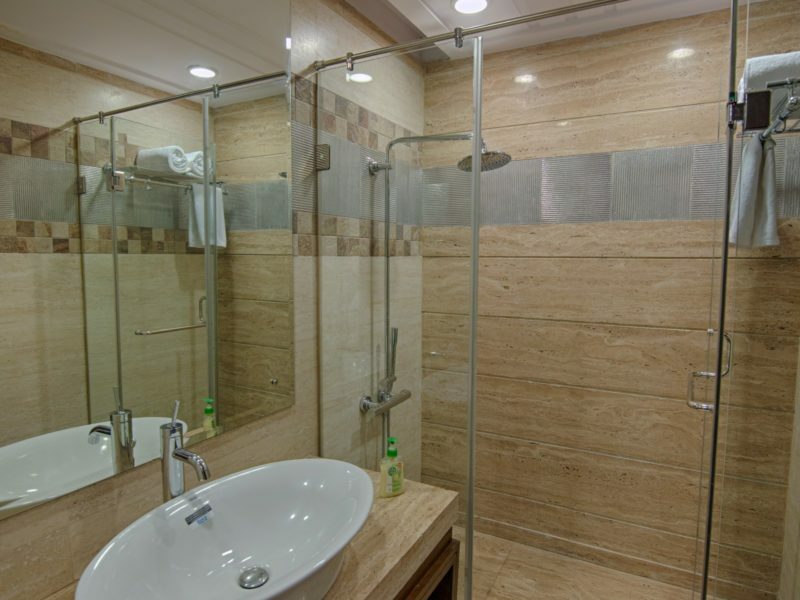 With only 2 Suite Rooms at our disposal it’s always better to book it in advance. Our Suite Room can also be converted to Two Bedrooms which is ideal for a Family of Four with 1 Kingsize Bed in each room and Parents and 2 Children. Both Our Suite Rooms comes with a Balcony.